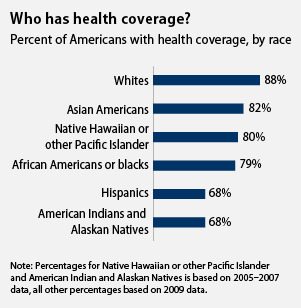 Health disparities refer to differences between groups of people. This guide provides journals, websites, databases, and books on a wide array of groups in order to gain more knowledge on the area of health disparities. This guide will help you navigate your way through health disparities. You will find journals, books, websites, and databases pertaining to health disparities in a wide range of groups. This guide was originally created by Ariana Haze, a practicum student at Dominican University, pursuing her Masters in Library and Information Science.